I play jazz piano. More generally I play improvisational music. I began with classical piano lessons at nine years old, played gospel in church as a teenager and moved to jazz in my mid-twenties. I mostly play for my own enjoyment. Life and work makes it difficult to gig with any regularity. My Youtube channel is www.youtube.com/7notemode . Youtube has been a really nice outlet for me over the past several years. I've taken a break for the last 4 years, but I plan to start posting again soon. Hi - Could you post info on how you record your music videos? I see that you use a yamaha CP300, Ivory/Galaxy, garage band, acoustic pianos. But for recording, what camcorder do you use? Do you use an external microphone? Do you record audio/video separately? Do you use a mixer? Etc. Thanks for being such an inspiration! I may end up doing a video on my set up, since I'm asked that a fair amount. I use Logic more often than GarageBand. I use ScreenFlow to layer the videos. I use Midiculous for the digital keys. I was using a Logitech gaming headphone for voiceover, but just bought a lavaliere mic by AKG (I forget model number.) I record the piano using a Zoom H4n with an additional Apex Ribbon mic. HI, I love,love,love the Oh how I love Jesus/How great thou art medley U put on you-tube. Do u have a tutorial or chord sheet for that? I would love to learn to play even a 10th as well as u. Best version I have heard! I discovered your videos and your site a few days ago and I just wanted to stop by and compliment you on both your playing and your will to share all this wonderful and precious knowledge. Thank you so much and I hope we'll have the opportunity to share things around these 2 passions we have in common : Jazz and Piano ! Thanks Fabizio. I appreciate it. You english is fine. Such an amazing feel with great arrangements.Im currently working on your Tutorial 'Willow Weep for me'..Absolutely brilliant. Just love your playing got to be my favourite on here and there are some brilliant guys!!! Please can we have more tutorials on your web site with pdf that we can purchase. I wanted to first say thanks for posting your videos on YT - your playing sounds great and I've gotten a lot of good ideas by listening! One particular video (Duke's "I got it bad") caught my attention because your set-up is similar to mine. I wanted to ask about the sound modifying you did to Ivory II Italian Grand. You mentioned, in responding to another person, that you added some plug-ins to tweak the sound. Would you be willing to share what you did with me? I've been frustrated with the sound "out of the box" with this VST. Unlike your set-up, I am using an A/D converter (albeit a very good one . . . Apogee Duet). Anyway, I haven't been using Ivory because it just doesn't sound as clear - especially in the lower treble - as the CP 300's internal "Grand Piano 1." The frustrating thing for me is . . . I know, from having listened to your video along with the demo clips on Ivory's website, that this piano is capable of sounding great. I also wanted to ask if Ivory's Steinways, in your opinion, sound better than the Italian Grand? (and if there's less fiddling involved to make them sound good). I'd really value your feedback - I'm really trying to get the best piano sound I can with a software based instrument. 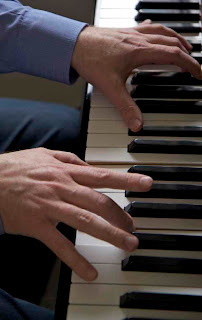 I am getting back into piano and focusing on learning to play jazz standards. I certainly enjoy and appreciate your wonderful playing. Thank you! But the best part is how your photos are all relatively obscure. Why? Because you look like a dead ringer for me! Obviously a full-on picture of you won't look precisely like me, so it's cool this way. Greetings from the Gold Coast, Queensland and thanks very much for the many hours of jazz education and enjoyment. I've tree but failed ! Rarely have I heard a talent that reaches out the way that you do through your piano playing! For me Tony Bennett is the greatest person who ever lived with regards to interpretation of his songs and how he actually gets those songs across to the listener. Congratulations...... You are the Tony Bennett of the piano. It doesn't get any better than that!!! TB of piano..... a great compliment! Thank you so much. I appreciate your comment. You are truly amazing in your gift and the desire to share it freely with others makes you a most generous giver. I was impressed when I stumbled upon your hymn reharm of Rock of Ages. That you would take the time to show us your thought process in putting an arrangement such as this together was very commendable. I, for one, have been disecting it and savoring your talent and finesse. Being that I am a church musician, means that I am always looking for hymn reharms and boy was I ever excited to find this. I play the B3 organ. It was truly a rare find - I would put it in the category of a 1 in a million. I have scoured the YouTube videos for many months and have not found such a gem as your playing before. Bravo sir. You made mention of a term that I am not personally familiar with "flutter pedaling" but maybe because I come from an organ background. Once again, thank you for sharing your talent with us and I pray God's blessings on you (hopefully you are not offended by that). Thank you so much for your very kind message. I appreciate it. Yea, flutter pedaling is rapid up and down over a small range of the pedal's range of motion. I can be done to make sustained notes decay faster (by lightly touching the strings with the dampers multiple times); or it can be use to create linkages between notes without too much overtone mush. Thanks for your response and explanation. I imagine a technique like that would take much practice to perfect. I could definitely tell that there was something going on when I looked at your midi file for Rock of Ages. There was not a definite start and stop point like most pedals have on a midi file. Usually I would just see a 127 full on pedal and then a 0 for the full off but yours had many many variations in there with sometimes neither a 127 or 0. Thanks again and I do appreciate your talent and gift. Just wondering if sometime when you are just sitting down in your free time and 'tinkering' if you could play a reharm (or just your jazz version) of "Amazing Grace" on your digital keyboard. I would not need a tutorial on it but I would be willing to pay you for a midi file of your ideas. They would not need to be polished or complete but just something to use as a springboard for new ideas. I am just interested in 'picking your brain' so to speak. And this all comes from your gorgeous rendition of "Rock of Ages". You could PM me if this would work for you. Hank, Thank you for your note. Glad it is helping...sounds like a nice retirement plan!! "I may end up doing a video on my set up, since I'm asked that a fair amount. I use Logic more often than GarageBand. I use ScreenFlow to layer the videos. I use Midiculous for the digital keys. I was using a Logitech gaming headphone for voiceover, but just bought a lavaliere mic by AKG (I forget model number.) I record the piano using a Zoom H4n with an additional Apex Ribbon mic." I make my living doing video camera work. I am an amateur keyboardist. I would love to know how you position or hold the camcorder, what camcorder you use. Also, I'd like to know how you get this animated keyboard display which outlines in blue the notes. To get the video picture in your GEORGIA ON MY MIND video, you had to mix the animated keyboard at the top of the screen, while showing the video below. Kindly tell me what video editing software you use. If you do make a video on your setup, please email the link to this video. I use an iphone on a tripod with a clip on wide angle lens. Video layering is done in ScreenFlow. I noticed a video on Pianoteq. Have you tried it ? What is your take on it as compared to sampled programs? Pianoteq is a paradox. It sounds the least like a piano but plays the most like a piano. I really enjoy playing it. I just have the entry level version 4.5 Stage. I really enjoyed your version of Moanin' - a song I am currently working on. Can you give me some advice on the scales to improvise over. Obviously most of it will be over F blues, but would you suggest anything else? Your technique is admirable. Advice on that as well please. Hanon exercises, simple scales or what!? Would you mind letting me know what is the make and model of the digital keyboard that you download various piano samplings to. Greetings from Canada! Came across your music while I was looking at the Naro Moro River Lodge, in Kenya where I visited some years ago. Could you please tell me the name of the piece of music you are playing in this video? It somehow eludes me! Am absolutely in awe of your playing and thank you for the pleasure it has given. By listening to more of your music tonight, have now been able to answer the above question myself! Good, because I didn't know which video you were referring to. This is what I was referring to! ha! didn't know that existed. Do you have the score for Over the Rainnbow, the version that you recorded on YouTube? 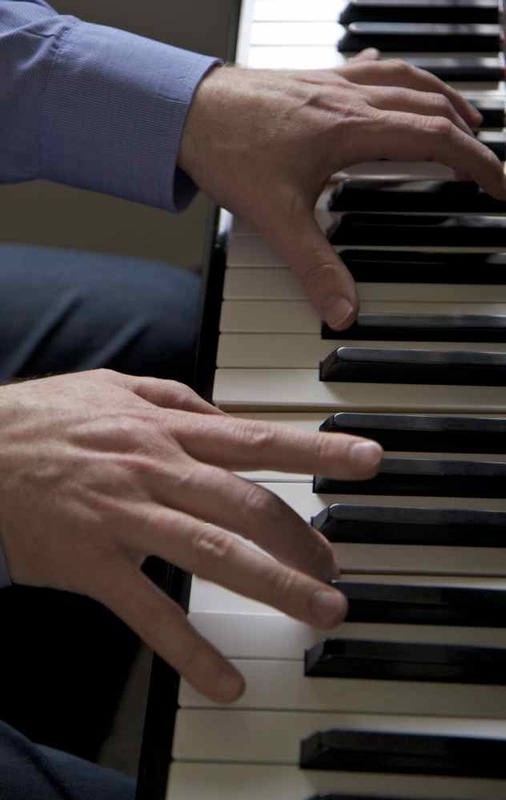 Do you have any recommendation on Jazz books for a classically trained pianist? i picked up ivory american d and on one of you videos i copied your setting. i was wondering do you have anymore of them using the american d maybe the jazz piano? 7notemode, First of all you are amazing. I have been trying to find a contact for you. Just wondering what it would cost for you to do a tutorial video for two songs I would love to learn. Harry Connick JR "if i only had a brain" and Song for you by Christina Aguilera. She sings a Jazz version. I have a major love for the piano and I am learning. Not sure if you have time to do tutorial request. Thank you. I have been watching many of the videos you have posted. I admire and like your style of playing. I gather that music is more of a hobby rather profession. I am trying to improve a my sight reading of music. I find that the display format you have adopted for the video "tenderly......Part 1" very interesting. The midi keyboard below the notations displayed is easy on the eyes. May i know what is the name of the midi software you are using in this instance. I have a midi software PowerTracks, It displays the midi keyboard way above the music notations. The result is much strain on the eyes, not to mention the clutter of tooling icons displayed as well. The icons are more a distraction than aid. . Sincerely will appreciate any help given. Thanks. It's a program called midiculous and I use ScreenFlow to layer the video. I'm trying unsuccessfully to download the score tenderly of your tutorial. how can I get it ?, I buy it? where is swing tutorial three - also where is the sheet music you use in one and two? thanks for your tutorials ... I'm really learning a lot! I've seen also how you play 'Moaning... why don't you record a tutorial about it? Looking forward to it! Hello 7notemode. I am Carlos, pianist from Argentina. Sorry to bother you with technical questions. I would understand if you can't answer. I bought a Kawai VPC1 with the Ivory II American D.
At home it works properly using the inner Macbook pro sound interface and connecting it directly to my studio monitors. No latency. I still have no external sound interface, for sure this set can be improved. I am trying to build a live set for small venues using the Ivory II or other VST piano. 1- Will any firewire sound interface work well for this? 2- I read somewhere that you are compressing the sound before sending it out. 3- Maybe other VST piano will work better in a live performances. I will send the sound to a small stereo PA. Thanks for being one of my jazz tutors. Now, self-employed and semi-retired, at the precipice of my 60th birthday, I decided to return to college in August as a Music Major. Your tutorials are quintessentially helpful for a jazz novice....so, keep posting and thanks again! Today i've seen your wonderful tutorial for playing House is not a home from Burt Bacharach. I tried to write down the chords, but there are many chords i couldn't position at the right point. Do you have something like a scoresheet? Only with Text and chords? would be great to get suchsheet. Thanks for the wonderful playing style. Hi, how can I download the sheetmusic to your version of Misty? Hi! Please, what is your name, my friend? I just commented, Bobby, Not sure if I need to submit my email. coolrkf88@gmail.com Thanks ,as you can tell not to computer savvy. Hello, does someone have any news about 7notemode? I just hope he is going well. Thx. I, too, am concerned about this fine pianist. He has been silent on YouTube for some time. I hope he is well. Wonderful playing. I have the American D but still not happy totally with the presets on their own. In your video you mentioned something about some tweaks you apply to Ivory in your recordings. Can you indicate some pls?